Adding elegance to your everyday life means that you must have the ability to filter out the mediocre from the excellent. “We must learn to recognize suitability, simplicity and proportion, and apply our knowledge to our needs” writes Elsie de Wolfe in “The House in Good Taste. She may have been speaking of furniture and architecture, but the lesson is equally relevant here. 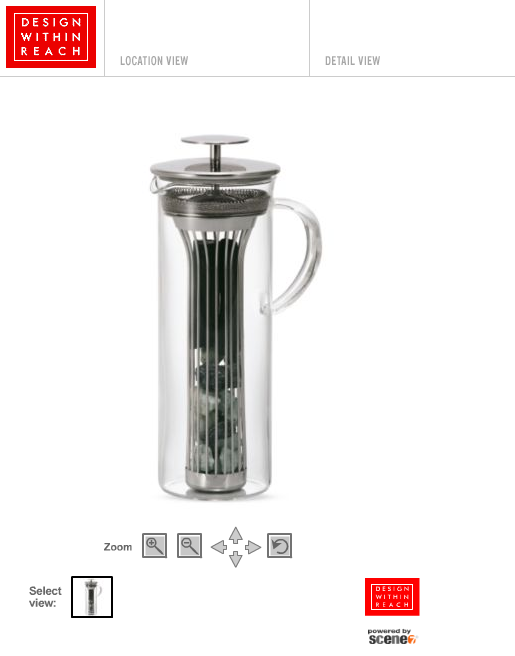 How much more water would you drink if it were poured from this charcoal filtered water pitcher from DWR.com? As long as you’ve made the resolution to filter… why not start here? This entry was posted in Living and tagged DWR, Elsie de Wolfe, water pitcher. Bookmark the permalink. DWR’s new line of home items is wonderful. I can look at the pictures for ages, lusting after $40 covers for tissue boxes! I recently purchased this pitcher and the water is simply delicious. No joke. The water has a rich soft flavor & texture. Highly recommended.